HJK you to its original models of gloves with leds! They include RGB LEDs of 3 colors: red, green, and blue. Thus, mixing, this makes possible the realization of any other color! One size fits all, this glove fits led to any size hand, large or small. Our glove is worn very easily led, and is comfortable. 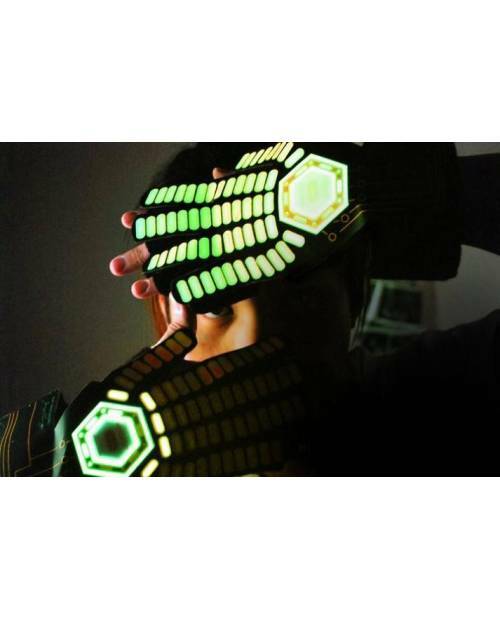 Shipped in pairs, these LED gloves will become mandatory in the most extraordinary evenings. - And a flash of each color alone. The mini button that toggles between the Operating Condition to another is housed in the glove LED. Pair of white dress gloves, equipped with diodes LEDs of all colors! Ignite evening!